One of the 11 new “sector champions” selected by a minister to tackle the issues disabled people face as consumers has already used the appointment to rethink his own strategy on inclusion, he has told Disability News Service. 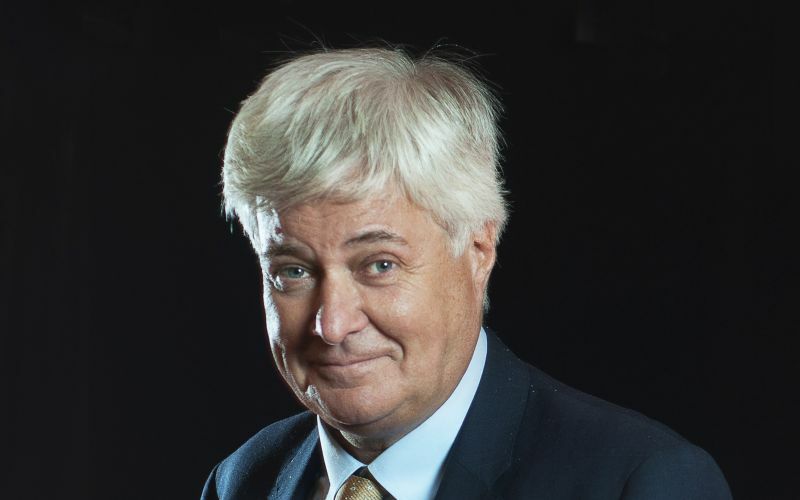 Robin Sheppard (pictured), the chair and founder of Bespoke Hotels, the UK’s largest independent hotel group, said he hoped the appointment of the sector champions by the minister for disabled people, Penny Mordaunt, would help to mainstream the issue of inclusion. The sector champions will promote the importance of inclusion across the retail, music, leisure, tourism, hotels, media, advertising, airports, buses, banking and gaming sectors. The aim is to “drive improvements to the accessibility and quality of services and facilities in their sector, helping to showcase best practice and show other businesses the merit of making disabled customers a priority”. Mordaunt has told her new sector champions that her own “to do list” includes increasing the number of accessible toilets, improving the experiences of disabled people, including physical accessibility, improving the visibility of disabled people on screens, billboards and in magazines, and making accessibility a “mainstream issue”. Sheppard said he believed the idea behind appointing the sector champions was about sharing good practice and creating “momentum” and “cross-pollination”. His own “obsession” is about improving the design of hotel bedrooms and bathrooms, and the public toilets in restaurants and hotel dining-rooms, and moving away from the “medical nature” of facilities designed for disabled people and putting “a bit more joy and fun into the environment”. Channel 4’s Dan Brooke has been appointed by Mordaunt as the sector champion for the media. Sheppard said he has already looked at the work Channel 4 has been doing in employing disabled people – which he said seemed to be “streets ahead of any other sector I have come across” – to see if he could learn from that. He said: “While our aim [at Bespoke]is to make the customer experience much more inclusive than it currently is, rather than divisive, at this stage the campaign I am trying to shepherd along is not particularly employment-centric. Last year, his company launched the Bespoke Access Awards, to address accessibility in hotels through design and innovation. The international design competition looks for original ideas to improve access and provide a better experience for hotel guests, particularly those who are disabled. Another of the new champions is another disabled campaigner, Suzanne Bull*, chief executive of Attitude is Everything, who will cover the music sector. Mordaunt said her 11 new sector champions would “help businesses realise the value of disabled consumers and the importance of catering to every customer’s needs”. Meanwhile, BBC News has launched a £1 million scheme to recruit, train and develop disabled journalists. Over the next year, it will create 12 new positions in the BBC News mobile and online teams, in roles ranging from broadcast journalists to assistant editors. At least half of the roles will become permanent at the end of the year, with the scheme including training and mentoring. Details of the scheme will be available soon on the BBC’s careers website. *The other eight champions are: Helen Drury, from Intu (retail); Huw Edwards, from ukactive (leisure); Chris Veitch, from Access New Business (tourism); Sam Phillips, from Omnicom Media Group (advertising); Michael Connolly, from OCS (airports); Jane Cole, from Blackpool Transport Services (buses); Trudie Hills, from Lloyds Bank (banking); and Dr Jo Twist, from Ukie (gaming).